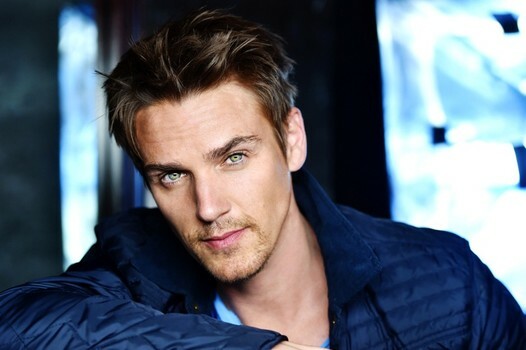 Riley Smith is a musician and actor from Iowa. Best known for his roles on tv shows such as 24, True Blood and Frequency to name a few, Riley has built quite the career and fanbase. 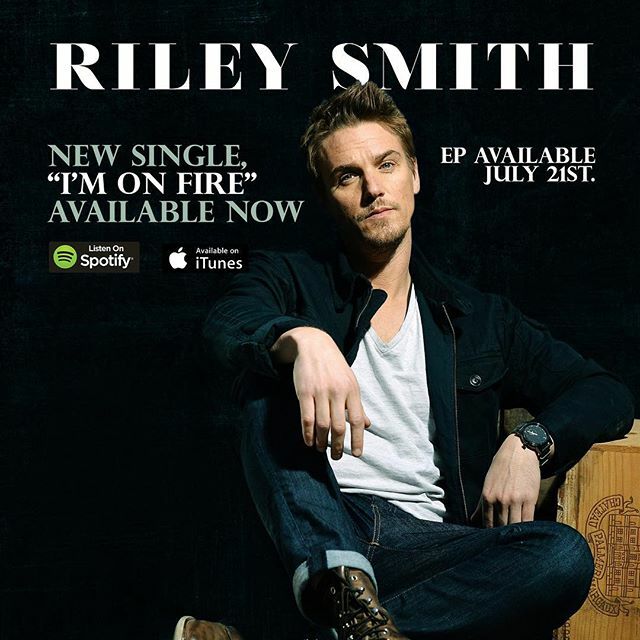 Alongside acting Riley is also a musician and has toured the US and Europe with his band The Life Of Riley. Most recently, Riley played the role of Markus Keen the difficult and unreliable rock star who wanted to turn country on the popular tv series Nashville during its fourth season. 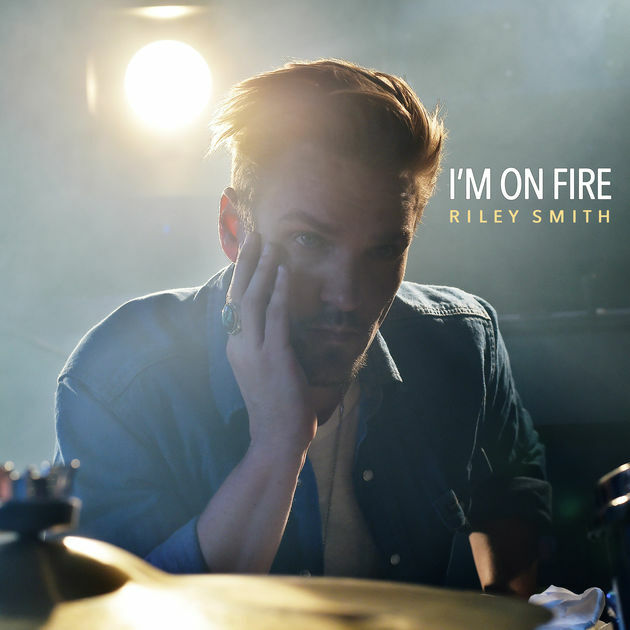 Rileys experience on the show influenced a desire to blend a country sound to his own rock styled music and on May 19th he released the first single I’m On Fire from his up and coming EP released later this year. 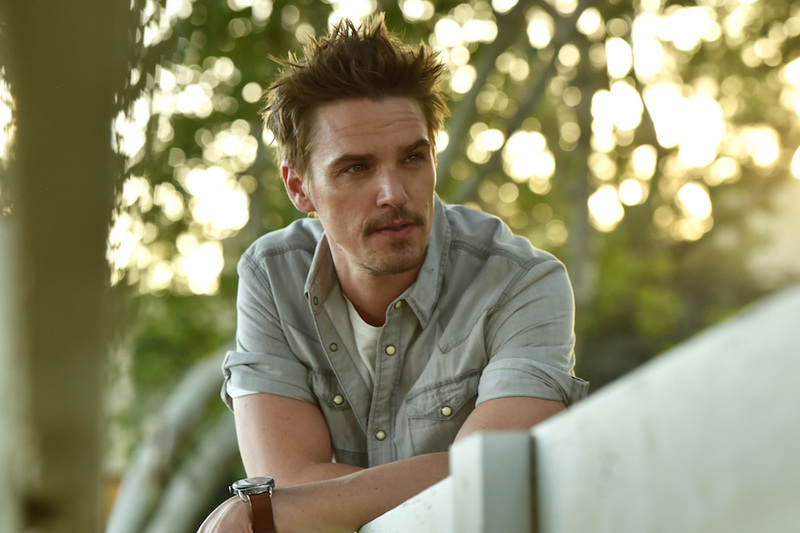 I caught up with Riley to discuss his music and his time on Nashville and how Music City has changed him musically. I found Riley to be incredibly interesting and very humble. I hope you enjoy our chat. How are you today? What have you been up to? Hi, Im great thank you. Ive been busy! Tell us a little bit about your background, you are a successful actor but how long have you been involved in music? So we are here to discuss your music career but of course we couldn’t not mention your time on the tv show Nashville. As a musician, this must have been quite an exciting project and role for you. Had you ever seen the show prior to securing the role, How did you prepare for a role such as Markus Keen? It was very exciting. I knew of the show and was very interested in finding a show where I could play music. I had just done a TV pilot for FOX about music that didn’t get picked up by the network and so at that point the drive for me to find that kinda role was even deeper. I live by the motto, “When one door closes, another opens”. I think you have to as an artist. Thats when ‘Nashville’ called. Markus was a fun colorful character. His attitude is probably about as 180 degrees as you can get from who I am, but thats the fun part about being an actor. And I dove into head first. What did you like/dislike about the character? The kind of person he was is my answer for both. As I said before, the dude was jekyll and Hyde. I always thought that he must be bi polar. He was written as such an antagonist. But those are fun roles with a lot of layers. At the same time, it got old being the character who had to make such brash decisions every other scene. Especially knowing how that made the audience feel. What was the biggest challenge you faced playing the role? Trying to find empathy for the character. As an actor, I always look at a characters motives. Why are they the way they are? No one is bad just to be bad. They have reasons, and justifications in their heart. Usually its just needing love. And that was Markus. Even as the biggest rock star in the world, he was very insecure and needed love and reassurance. At least that was the motivation I decided on. But it was harder to find empathy in some scenes than others. Tell us about the songs you sang on the show, how did you connect with them and did you get to meet the songwriters? One of my favourites is In The Name Of Your Love written by one of my favourite artists of last year Sean McConnell. The music producer for the show would send me the song they chose, and ask me to vibe it out and see if it works for me vocally. Luckily they all did. Then I would have about two days to live with it, practice it and learn it. By the third day, I was in the studio recording it. The next day I was in a rehearsal for the choreography for the performance on the show. And the day after that I was on set shooting it. It was a grueling pace. Especially when you throw in the fact that you are still filming all your other scenes around that schedule. I grew as an artist really quick with that schedule. And quickly gained so much respect for the other actors on the show who had been doing this for multiple seasons at that point. You have to be great, fast on that show. But the people involved with making us look good are so great. From the music producers, to the choreographers, to the house band, to the directors and editors. ‘In the Name of Your love’ was a great song right?! I still cover it in almost every live show I do because I like it so much. One of the great things about the tv show is the amount of roles being played by actual musicians such as yourself, were there any times you got to check out each others music and has the show led to you to any co writes or jamming sessions with either the cast or songwriters involved in the show? Oh yea! I was constantly going to set watching other performances when I wasn’t working. And everyone in the cast always went and supported each other when they were playing out in Nashville. Its a real tight community down there. They are all very supportive of each other and the music. I hear that the Nashville cast and crew are some of the best to work with. What was it like being on set? You did most of your scenes with Connie Britton, what was it like to work with her and did you get to know any of the other cast? Is it like one big happy family as we are so often told? They really do live up to their reputation of being the best cast/crew. They are a huge family. And they accepted me with open arms. It was the biggest reason I loved my experience down there. And thats saying a lot, because every part of the experience was great. I was already friends with Hayden, Ollie and Chris, so I knew them going in. And Sam and I really clicked. Chip is honestly the best leading man Ive ever met. He has been so good to me. We even played together at the Bluebird once. I always say, he’s the kinda man I wanna be. And Connie. Well what can’t I say about her. She is honestly the best. As a person we just hit it off. And as an actress, she is effortless. I was very fortunate to have some amazing stuff with her. Markus has now left the show but as an actor who has been involved in so many amazing shows, how does it feel to be part of such a cherished show that has brought country music to a wider audience and built a community that worked together to ensure the tv show would live again? I have been blessed to be apart of some very cool tv shows that have left deep impressions with audiences, but I have never seen the response that Nashville gets when you walk down Broadway street in Nash. You really see how big it is to a huge demographic. Especially, obviously in Nashville. Its really cool. I didn’t expect that, going into it. Being in Nashville itself filming must have been quite inspirational musically seeing as it is music city and there is live music everywhere and so much history, passion and heart. Can you tell us about your time in Nashville and how much of it you got to see? Was it the show and being in the city that inspired this musical direction or have you always had a feel for country music? I grew up on a Quarter Horse ranch, so country music was the back drop to my life. I was raised on it. I lived the life. Once I moved to Los Angeles, over time I started branching out to a lot of different kinds of music. And Im glad that i diversified my interests. So when I went to Nashville for the show, I was really excited to get back in touch with that side of me. And it was so infectious. Its in the air down there. But what I didn’t expect and quickly came to learn is now Nashville has such a diverse musical influence. Some of the best music in every genre is coming out of there. Producers are making everything down there. So tell us about your current single I’m On Fire. You co wrote it with the wonderful Matthew Perryman Jones (who also wrote songs for Nashville) and Tim Lauer. What were they like to write with and how did your creative differences or similarities work together? Rephrased, who brought what to the table? Tim Lauer is the amazingly talented executive producer of the music for the show. So we worked very closely together during my time on the show. He produced all the songs I did. And we became friends. I had expressed how big of a fan of MPJ I was. The next thing I know, he sets the three of us with a cowrite. It was a dream to be working with those two. We sat down at Tim’s studio one night in January and just started chatting about the sound I was looking for, the vibe. And the song just flowed out of us. So effortlessly. It was Kismet. What was the writing process behind the song and what made you decide on this song as the first release off the EP? It was pretty evident from the minute we did the demo for ‘Im On Fire’, that I wanted it to be the single. It just really exemplifies who I am as an artist and where my sound is going. I think the song is fantastic. Will we have a music video or lyric video? Thank you. Yes we do have a music video coming out. Im not sure what I can say yet, but there are some exciting things happening with the video very soon! Making the video was a really fun and artistic process. I wrote a treatment a story board and got a group of talented friends together and made it ourselves. Coming from the tv/film side for 18 years, I knew what I wanted to shoot and how I wanted to do it. I have a great friend named Bjoern Komerell, who is an amazing photographer in LA, who I have been wanting to shoot a music video with me for years. I came to him with the idea and said “This is it. This is the time and this is the song.” He absolutely killed it in his directorial debut. I can’t wait for everyone to see it. You are soon to be releasing a five song EP which we cannot wait for. How would you describe the EP sonically and lyrically and what were the inspirations behind it? How hard is it to pick songs for an EP? Did you have a lot to choose from? What other songwriters did you co write with on this project? Being on the show opened up doors with writers I would have never had the opportunity to write with before. My very first cowrite while I was down there was with (now friend and all around great guy) Rick Ferrell, who wrote Tim McGraw’s #1 song ‘Something Like That’. I was living a dream that day. Here I am writing a song with a guy who wrote a song I grew up on! After our co write he took me to this bar where all the writers hang out. As we were having some beers I met another writer named Brad Irby. Brad was from the west coast and we just hit it off. He introduced me to Kevin Leach who had also just moved from LA and ended up Producing my record. I met so many writers that night and it just snowballed. I must set up 5 writes that night. And almost all of them had written a song I loved. I remember going back to my apartment that night just pinching myself. I had the biggest smile on my face. On the EP I have Co Writes with everyone from Mathew Perryman Jones and Tim Lauer to Nathan Dantzler, Kevin Leach, Brad Irby, Joey Green, Ben Stennis, and Blake Bollinger. The UK has a huge fanbase for country music, are there any plans to visit us for some shows? We have a huge country music festival called C2C which you may be aware of? I LOVE playing the UK! I have played there many times with my old band. Everywhere from London to Portsmouth and in between. And I absolutely plan to come back there on a tour. In fact, if y’all wanna hep get me set up with C2C, Ill be there! Being in Nashville, you must have got to check out some great artists, who did you discover whilst out there who you have gone away a fan of? I did see some amazing shows. One night Holly Williams (Hanks daughter) played a song at the Ryman called ‘Waiting on June” that brought me to tears. Ill never forget that performance.